Many people save and plan for a cruise ship vacation for months or even years. While you may have looked forward to your cruise vacation during the dreary winter months back home and pinched pennies to make it happen, the same thing can happen on that exact cruise–penny pinching, only it is on the behalf of the cruise company. When cruise ship companies decide to cut corners to increase their profits, at the expense of their paying customers, entirely preventable accidents, injuries, and illnesses are bound to happen. Such is the case when it comes to sanitary conditions of some cruise vessels. Just a few years ago, an entire cruise ship turned for home early because of an outbreak of norovirus, a stomach bug that ran rampant throughout the ships and caused more than 600 passengers to become sick, as reported by CNN, which the Centers for Disease Control and Prevention (CDC) ended up investigating. Norovirus, and other viruses and bacterias, can be transmitted via airways, through food and drink, or from touching contaminated objects. But is it really the fault of the cruise ship if you get sick? Cruise ships pack hundreds or thousands of people together in close quarters. With that many people all breathing the same air, using the same facilities, and touching the same door handles and faucets, viruses are sure to spread more easily than in the confines of your own home. According to the CDC, “Traveling on cruise ships exposes people to new environments and high volumes of people, including other travelers. This exposure can create the risk for illness from contaminated food, or water or, more commonly, through person-to-person contact.” But, at the same time, the cruise ship company has a responsibility to provide reasonable sanitation. 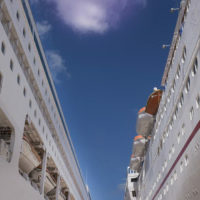 Most cruise companies provide excellent and extremely sanitary conditions, though that is not always the case, and when it can be proven that a cruise company did not adhere to its duty to provide sanitary conditions, there may be legal grounds to file a lawsuit. Cruise ships, like any restaurant, must keep their kitchens and food preparation and serving areas immaculately clean. The presence of pests, spoiled food, and other unsanitary conditions can lead to serious and even life-threatening symptoms, especially when out at sea or if the passenger already has a condition that would predispose them to an illness. Other types of unclean conditions that could cause passengers harm include the presence of mold, toxic substances, and unsanitary bedding or rooms. As we all know, hospital visits are extraordinarily expensive, even for those with insurance. Your other considerable damages may include lost time at work, pain and suffering, travel expenses, and the ruined vacation that ended up getting you sick. However, there is hope in the form of financial retribution. Call the attorneys at the Miami office of Michael F. Guilford, P.A. at 305-359-1999 to help make this unfortunate situation right. 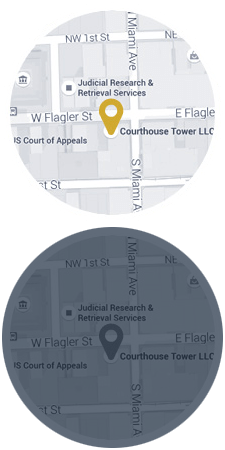 Contact the Law Offices of Michael F. Guilford, P.A. for a free initial consultation with Michael Guilford. Flexible appointment times are available. If you can't come to us, we will come to you. Call toll free 866-473-2636 or describe your injuries in an email.